Getting ready for the most lovable day of the year. This eternal female-ish question: "What should I wear?". Wardrobe is fully packed but you still have nothing to wear? Especially on St. Valentine's day? I mean evening. Or dinner. Or date. Whatever. On St. Valentine's day. If your love-full outfit idea is all about looking elegant but not too polished, then you definitely reached the right place. Keeping it classy and highlighting natural beauty/unordinary intellect is the key for all ladies these days. So belt up and check out 3 inspirational ideas for your perfect V-Day! Game based on contrasts always work. Plus what can be more cool than wearing a feminine dress and super comfortable shoes? Right? 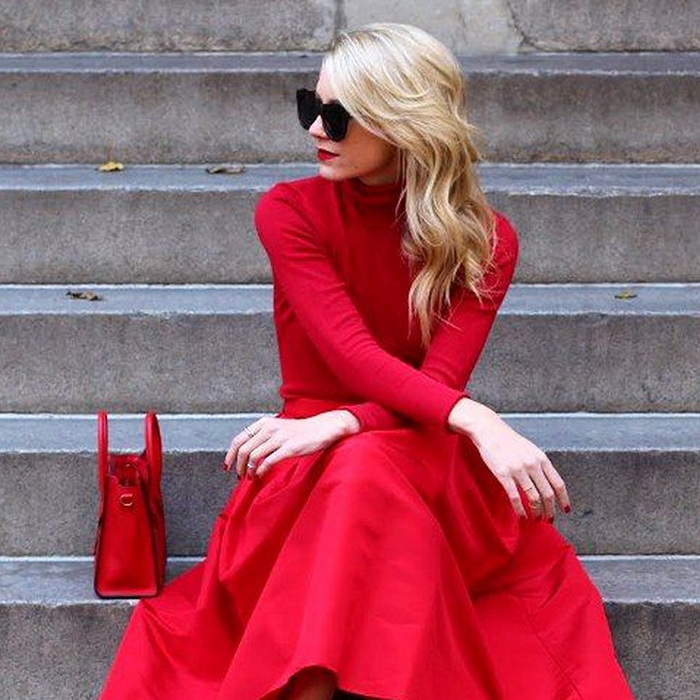 So get those masculine shoes of yours out and pair it with a light, tender dress which can easily be of red color! A leather or suede jacket topping will only add laid-back vibes. A tiny bit of French elegance never killed nobody. Simply combine that horizontal stripe top with simple yet chic-y enough pants, something like culottes might suit the best. Playing around off-shoulder topic, flares and interesting court shoes also counts. Remember to mix and match, match and mix. The best combination for laid-back approach lovers. All you need here is an oversized or cropped sweater, an eye-catchy skirt with tricky print or sensual fringe or charming sequins (what you like the most) and heeled ankle boots. As simple as that! Here your booties don't necessarily need to be super casual ones, you know. Just a little hint.